From high performance amateur boxing to boxing just for fitness. We cater for all ages from children to masters and all levels of experience. Hatha Yoga suitable for all body shapes, the inflexible and flexible alike and for those just wanting to de-stress and relax with gentle movement. Expert nutrition advice using a non-diet, intuitive and mindful eating approach. Sports and performance nutrition for the novice to elite athlete. Get that personalised one on one training support from experienced coaches. From boxing pad work to strength training, get an individualised program to suit you. 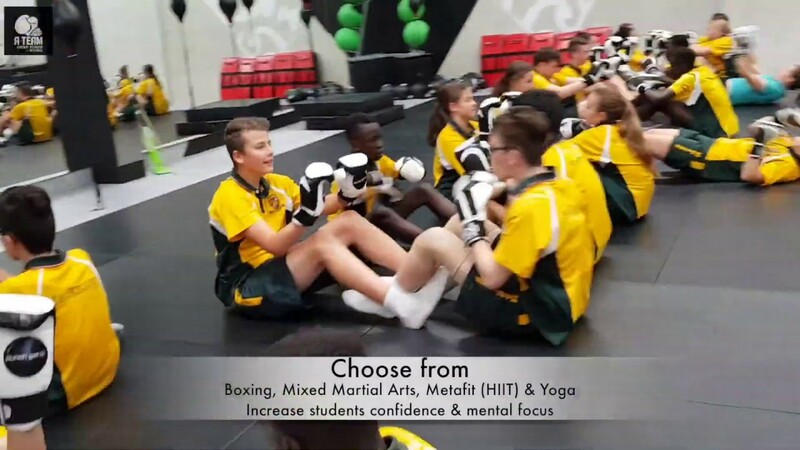 Whatever race, gender, age, LGBTI or taste in music, we welcome everyone and believe all people deserve the right to train in a safe, non-judgemental space. No-one is better than anyone, we are all just different. A-Team is an all-inclusive place to be yourself. We care about you and understand life these days is hectic and challenging. We offer flexibility with memberships if life gets in the way. We are here to support you in and outside of the ring, you are not a number at A-Team, you are family! We welcome all shapes, weights and sizes. We believe that health can be achieved at any size (HAES principles) and encourage those in bigger bodies to join us and be a part of the fat friendly movement. We will tailor training to suit your body and its capabilities. We don’t talk the talk, our Coaches set the standard of what you can expect from A-Team through our actions. We currently have coaches competing or coaching boxing, all with previous athlete backgrounds and real life boxing experience and achievements. Professional development is essential in keeping up to date on the latest evidence-based coaching and nutrition practice. We ensure all our Coaches meet the requirements of their governing associations and continue to build on their skill sets to keep our services cutting edge and ahead of the game! We can talk about ourselves in fancy words but the only way to understand who A-team is, our culture and our family is to take the hardest step of all and walk through our front door. We dare you.. what have you got to lose?? ?